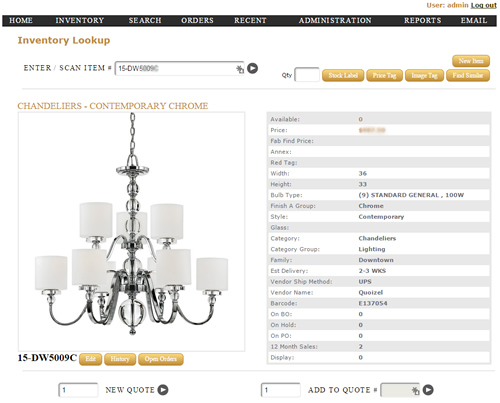 Our client sells exquisite lighting, accent furniture, unique home accents, and wall décor. Each customer enters this elegant home furnishings store to purchase high-end items for their home, office, or business. They were originally running their business on a highly complicated and limiting system. Software Solutions worked with their management team to design and implement a web-based system that manages every aspect of their business, from the initial sale down to the allocation of the items. Previously complicated tasks are now done in a few simple steps.